Ken Bredehoeft received the following from Phil’s son Eric. I have some sad news, my Dad passed away on Saturday the 23rd of March. I wanted to let the association know it was a great pleasure in my Dad’s - and Mom’s - life to be an active member of the USS Cabildo Association. He was most proud his time in the US Navy and while in the USS Cabildo. His funeral will be Friday the 29th at Buchanan Funeral Services in Oklahoma City. Recently retired Bethany City Councilman Phillip Ray Shirey passed away peacefully at home surrounded by family on Saturday, March 23rd at the age of 82. Phil is survived by his loving wife Charlene (Jezek) Shirey and their two children; Melissa Dietz (husband Paul) and Eric Shirey (wife Beth). He is also survived by 7 grandchildren and 2 great-grandchildren; Elizabeth Franks (husband Andrew), Josiah, Joel, Daniel and Jerusha Brown, Phillip Dietz, Grayson Shirey and Dale and Edward Franks. He is preceded in death by his father C.R., mother Kathryn (McLaughlin), and brother Reg. Phil was born on the 26th of March, 1936 at University Hospital in Oklahoma City. He graduated from Bethany High School in 1954 and was a member of the 12 Year Club. He attended Central State College and graduated with a Bachelor's Degree in Accounting in 1958. Phil and Charlene married in June 1958. After attending Officer Candidate School, Phil was commissioned as an officer in the United States Navy Supply Corps in December 1958. After 4 years of proud service at sea in the USS Cabildo and at Naval Air Station Whidbey Island, he left the Navy and returned home to Bethany to help run the family business, C.R. Shirey Plumbing, Heating and Air Conditioning. In 1970, Phil became owner and President of the company until he retired in 2009. Phil continued a life of community service when he was elected as Councilman of Ward 4 for the City of Bethany in 1989. Phil was the longest tenured City Councilman ever with 28 years of total service. During his time representing Ward 4, he was most proud of the Council's establishing the city on a solid financial footing and the completion of several city infrastructure improvement projects. Phil's life long commitment to Bethany resulted in a commendation from Governor Mary Fallin, a citation from the Oklahoma House of Representatives and the proclamation of the 2nd of February as Phil Shirey Day in Bethany. Charlene enjoyed the contrast of Phil's tough exterior persona to the sweetness, support, and devotion he provided her over 60 years of loving marriage. Phil's children remember him as a wall of trust and security who always supported and encouraged self reliance and hard work. His grandchildren remember Papa as a generous, doting, confidant who was always available to help them navigate the intricacies of life. Phil was an accomplished drag race car builder and driver, winning many races in his early adult life. He reverted to safer pastimes as his young children grew and the demands of running a successful business taxed his time. Phil read anything he could get his hands on related to history, politics, and computers and later developed a keen interest in holistic medicine. Phil remained close to his Navy roots through the eyes of his son, Eric, by encouraging him during his own career as a Navy pilot. 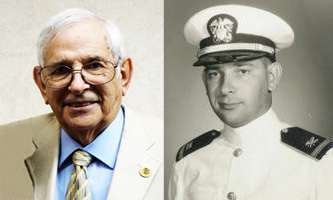 Later in life, Phil was an active member and one-term President of the USS Cabildo Association. Phil and Charlene enjoyed extensive travel early in their marriage visiting many interesting sites world-wide. They renewed the wanderlust in retirement, spending time visiting friends and family throughout the U.S.
A memorial service is scheduled for 11:00 on Friday, 29th of March at Buchanan Funeral Home at 8712 N. Council Road, Oklahoma City. All are welcome to attend and celebrate Phil's life. In lieu of flowers, please send donations to Navy-Marine Corp Relief Society at nmcrs.org or Russell-Murray Hospice at rmhospice.org. The family would like to thank Diane Hughes, Dr. Karen Ross, Trisha Bishop-Butler, and Russell-Murray Hospice for their efforts and care on Phil's behalf.